Sticking to a budget can be pretty challenging. You might be saving for something super important or simply, canâ€™t afford to splash all of your cash right now. Regardless of the reasoning behind why you want or need to save, there can be a lot of temptation to book a getaway trip. You might feel like you shouldnâ€™t do it, but constantly trying to tighten those purse strings in attempt to save all of your pennies can be stressful and sometimes you just need a break from it. Everyone needs a trip away every now and then, donâ€™t feel guilty about it. 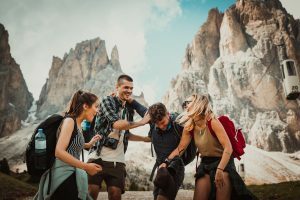 Thereâ€™s a number of ways you can plan a last-minute getaway on a budget and you’ll be surprised when you realise just how much you can save. 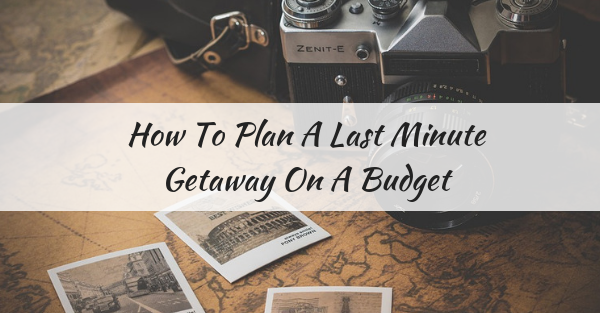 Youâ€™re heading on a last-minute getaway and youâ€™re wanting to stick to a budget, so you don’t really have the time or the money to be super picky with things like the location you’ll be heading to, the accommodation you’ll be staying in or the airline you will be using. Do keep an open mind when planning your getaway. Of course thereâ€™s a chance that you could end up with an amazing last-minute deal in a prime location with 5 star accommodation, but thereâ€™s also the possibility that youâ€™ll be left with very poor choice when it comes to these things. Itâ€™s likely that flights to the most popular destinations will be fully booked (if you’re booking last minute), meaning you might not get what you want. Also, it’s important to know as much as you can about any country you are going to as countries like China, Cuba and Russia have stricter tourism laws and procedures. Thanks to the wonderful web, you can book almost all of your getaway in just a few simple clicks. Using price comparison websites, you can see the best deals available all in one place. Thereâ€™s a range of websites that offer you last minute deals, allowing you to save a lot of money. These deals aren’t only for accommodation, they’re for flights too – the complete package. Using an online comparison site is super handy as you donâ€™t have to waste time shopping around, they do all of the research for you and return a range of deals within your budget. If youâ€™re worrying about the type of airlines/hotels that use online deals or comparison sites and have the mindset that theyâ€™re not good enough if theyâ€™re on offer, then think again. Companies get business through comparison sites as they offer their accommodation/flights on the dates they know they wonâ€™t be fully booked. So instead of them having an empty room in a hotel or a free seat on a plane, they can pop it on a deals website to make some money, which is better than making no money at all and having an empty room or seat. Another way of sticking to your budget is by using a luggage shipping company, just like My Baggage! Avoid paying expensive baggage fees on your airline and ship your personal effects with a luggage shipping company instead. Itâ€™s the cost-effective way of bringing your belongings with you on your getaway. Luggage shipping companies are becoming more and more popular with those heading on a getaway, as the convenience of the services offered is exactly what people need. All you have to do is book online, print some labels, attach them to your suitcases/boxes and weâ€™ll take care of the rest! Your items will be collected by a driver and delivered directly to your chosen destination, itâ€™s all pretty easy. Choosing accommodation is pretty easy and it’s no longer a huge risk, thanks to many online sites showing us photos of the accommodation and previous visitors leaving honest reviews,Â potential visitors are able to create a good picture of what the accommodation will actually be like. However, if youâ€™re on a budget, your choice of accommodation might be limited. 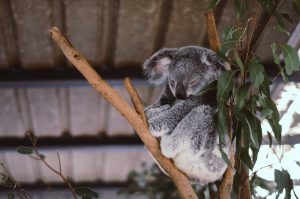 Youâ€™ll need to do a little bit of planning around this though, you could book cheap accommodation thatâ€™s super affordable but it might be good distance from the sights you want to see which means you could be paying a lot of money on transport. Also consider what the accommodation has to offer you, other than the location. Will you be getting food with your stay or will you have to pay for eating out, which sounds like the easy option, but can cost a pretty penny. A good choice for those on a budget is to rent their own location for the duration of their time there, preferably with a kitchen where you can cook your own meals and eat in. This sounds like the more expensive option, but if you shop around you can find some great places that are pretty cheap and will save you money in the long run.